Your guests have traveled a long way to see you marry the love of your life. Welcome them to your Lake Tahoe destination wedding with the perfect goody bag that is filled with thoughtful gifts and useful items specific to a weekend in Tahoe! 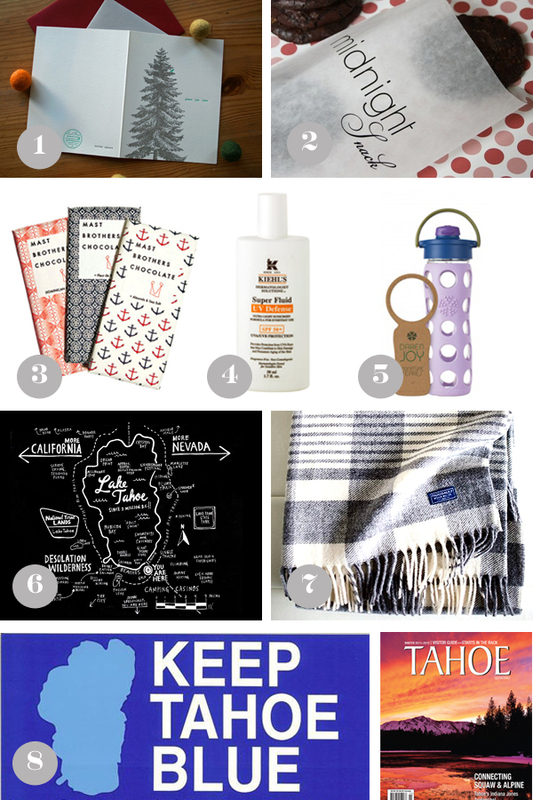 I've put together a list of welcome bag musts that can be found at local stores including the incredible Bespoke in downtown Truckee, Fine N Funky and Tahoe House in Tahoe City. 1. You want to thank your guests for travelling to Tahoe to celebrate your marriage. Include a welcome note and an itinerary with all the weekend details. Find great cards from Lark Press at Bespoke. 2. Help your guest's satisfy their sweet tooth with a homemade cookie or baked good from Tahoe House. Also great as a midnight snack! 3. You can never have too much chocolate, throw in some more sweets with a bar of Mast Brothers Chocolate from Bespoke. The packaging is so gorgeous you won't want to eat it! 4. Whether it's summer or winter, the sun is shining in Tahoe! Make sure to include a skin and nature friendly bottle of sunscreen. You can find Aveeno at Bespoke and Kiehl's at Fine N Funky. 5. Lake Tahoe has a very dry climate. Keep your guests hydrated by including a glass water bottle from Lifefactory. 6. A great looking map (print) of Lake Tahoe. This map was commissioned for the Basecamp Hotel in South Lake Tahoe by Wendy Macnaughton and can be purchased on Etsy. 7. Stay warm with an American-made wool blanket from Bespoke. Perfect if your guests have a moment to picnic at the lake. 8. Support the Keep Tahoe Blue Organization and include a snazzy blue sticker in your bag. Stickers can be purchased at many local retailers along with a Tahoe Quarterly Magazine. 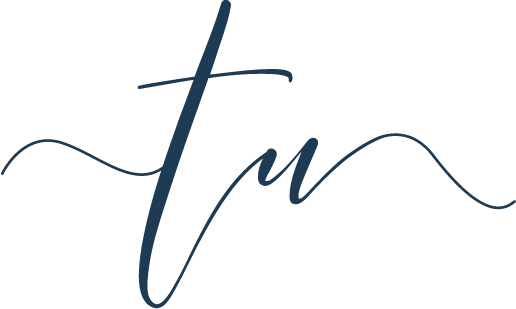 Perfect for keeping up with local events and all the hot spots in Tahoe.